We all know Baba Ramdev the famous Indian Yoga guru who launched a range of Ayurvedic products under the brand name Patanjali(product). These ayurvedic products have got a crazy response from the people since it’s launch back in 2005 and these products have stood up to the audience's expectations in terms of both quality and cost. Earlier these Patanjali ayurvedic products were only available in Divya Patanjali Ayurvedic stores, but Today these products are available in many leading stores. You can buy Baba Ramdev Patanjali products even in supermarkets like Big Bazaar. Did you know you can even order Patanjali products & medicines online from almost all major eCommerce websites. All products made by Patanjali are made by using all natural herbs and ingredients., Divya Patanjali Ayurvedic stores have products and medicines which can treat almost all health problems. Let me tell you that Patanjali Ayurvedic stores also sell beauty care products, food snacks, sharabats, drinks, spices, ayurvedic herbs, home utilities, toiletries.etc and not only ayurvedic medicine. Read on to find the list of all patanjali new products 2016, patanjali food products list with price & all patanjali medicine list too. If you are searching for a list of Baba Ramdev’s patanjali products along with price, we have tried to cover all the products and medicines available in official Patanjali Ayurveda store. 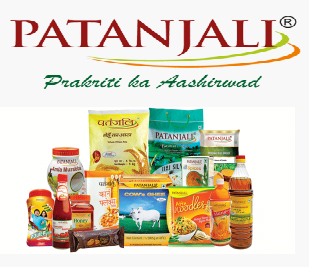 We have also mentioned the list of all of those patanjali products along with the current weight and price. These prices mentioned here are the official prices and would be same in almost all Patanjali Ayurvedic stores and online stores.